Leaders of Israel’s Palestinian minority have accused the Israeli authorities of intensifying efforts to push Christian and Muslim communities into conflict, as part of a long-running divide-and-rule strategy towards the country’s Palestinian citizens. The allegations have been prompted by a series of initiatives to pressure Christian school-leavers into the army, breaking the community’s blanket rejection of the Israel army draft for the past 65 years. The move was seen as a prelude to launching a more general recruitment drive among Palestinian Christians. Currently both Christians and Muslims, comprising nearly a fifth of Israel’s population, are exempt from conscription. Im Tirtzu has been behind various McCarthyite campaigns, including pressuring Israeli universities to dismiss staff seen as left-wing; lobbying to strengthen “Zionist values” in the school curriculum; and seeking penalties for Israeli nongovernmental organizations supporting the rights of Palestinians in the occupied West Bank and Gaza Strip. Dominated by its Christian institutions but with a two-thirds Muslim majority, Nazareth has been struggling to temper sectarian divisions since the late 1990s. That was when the Israeli government promoted a provocative project to build a mosque next to the city’s main Christian pilgrimage site, the Basilica of the Annunciation. Israel’s Palestinian Christians, numbering 125,000, or about nine percent of the Palestinian minority, are mostly located in Nazareth and its surrounding villages. Israel has also persuaded some Bedouins to volunteer as army trackers. Otherwise, only a tiny number of Christians and Muslims request to have their exemption waived — in most cases, according to scholar Rhoda Kanaaneh, in the hope of accruing extra financial benefits related to army service. “Israel’s goal is to make Christians feel like a vulnerable minority and that they will be safer only if they have been trained by the army and have a gun. We hear Christian youngsters who consider enlistment saying things like, ‘I want to protect myself and my family,’” she said. In similar fashion, Druze youths have been known to turn their weapons on Christian and Muslim neighbors when disputes have arisen. In one notorious incident, in 2003, Druze soldiers fired an anti-tank missile at a church in the village of Rama in the Galilee (“Communal pitfalls,” Al-Ahram Weekly, 6-12 March 2003). 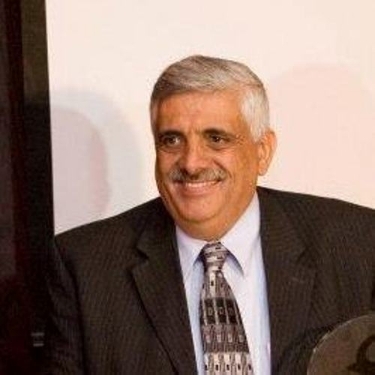 The pro-enlistment conference held in October was arranged by Ehab Shlayan, a career officer in the Israeli military from Nazareth who was recently appointed as “adviser on Christian issues” in the defense ministry. It was staged in Upper Nazareth, a city established on Nazareth’s lands in the 1950s as part of Israel’s project to “Judaize the Galilee,” the area where the Palestinian community in Israel is concentrated. The mayor, Shimon Gapso, an ally of Avigdor Lieberman’s far-right Yisrael Beiteinu party, helped sponsor the event. Palestinian leaders said Gapso’s role was entirely cynical. Last year Gapso described Nazareth as a “nest of terror” and called on the government to cut all funding to the city. He argued that Nazareth’s residents should be expelled to Gaza. Gapso’s antipathy towards the Palestinian minority has demonstrably included Christians. In winter 2010 he banned Christmas trees from all public buildings, and has refused to allow the establishment of a church in his city. Recent reports revealed that he secretly appointed a “settlement adviser” – Rabbi Hillel Horowitz, a settler from Hebron – on ways to bring extremist religious Jews to the city in the hope of driving out Palestinian residents “Mysterious ‘adviser on settlement affairs’ no. 13 on Habayit Hayehudi slate,” Haaretz, 11 January). Nazareth’s Greek Orthodox council, an elected body that represents the community’s interests in the city, immediately issued a statement denouncing Nadaf’s participation. A short time later the patriarch in Jerusalem, Theophilus III, barred Nadaf from entering the Greek Orthodox Church of the Annunciation. According to church officials, Theophilus will announce Nadaf’s relocation to Jerusalem in the next few weeks. Azmi Hakim said Israel had been trying to find a way to recruit Christians to the army – to sever them from the 80 percent of the minority who are Muslim – since the state’s creation. The chief obstacle, he said, had been finding a religious leader who would give the initiative the stamp of the church’s approval. Nadaf has also been criticized by Palestinian members of Israel’s parliament, the Knesset, including MK Haneen Zoabi from the Balad party and MK Muhammad Barakeh from Hadash. Both have called for his dismissal. So far Nadaf has remained defiant. He stated in June: “We want young Christians to be completely integrated into Israeli society, and this means also carrying an equal share of the burden. Our future as a Christian minority is wrapped up in the future of the State of Israel” (“Arab pastor: Our future is with Israel,” Israel Today, 9 July). Nadaf’s mention of “sharing the burden” was a reference to a government campaign to justify continuing to deny Palestinian citizens their rights unless they either serve in the military or perform an equivalent civilian service. The Israeli publication Ynet reported that the police had received “a green light” to question the MKs for possible incitement (“Arab MKs to be questioned on suspicion of incitement,” Ynetnews.com, 3 July). He has faced a hate campaign and death threats ever since the council issued its statement. “Shortly afterwards, I received an anonymous phone call identifying my children, my place of work and my home address. I was told people would come for me, to behead me,” he said. Suhad Bishara, a lawyer with the Adalah legal center for the Arab minority in Israel, said the requirement to submit to a DNA test was illegal in both Hakim and Kopty’s cases. Shilyan’s party has sought to play on Christian fears of what it describes as a growing “Muslim threat” in the region, as Islamic movements struggle for power in neighboring countries such as Egypt and Syria. 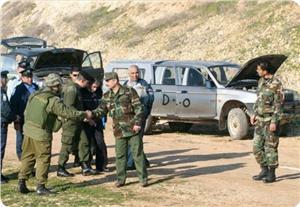 “People see what’s happening now in Lebanon, Egypt and Syria,” Shilyan told the Times of Israel. 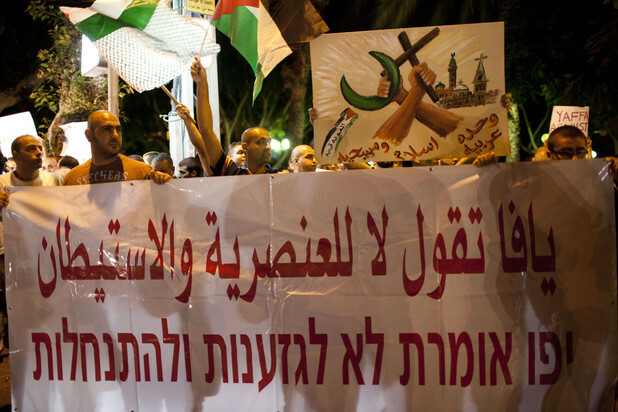 “They understand where we’re living” (“New Christian Arab party calls for IDF enlistment,” 10 July 2013). That message was echoed in an editorial in The Jerusalem Post, which rallied to Bishop Nadaf’s side: “Trying to survive under the Muslim thumb inside Israel’s Arab sector, Christians have kept a low profile, striven to give no offense and toed even the most extremist line to evince loyalty and avoid risk. … Those young Christians now eager to break the cycle should be encouraged, not discouraged” (“Father Nadaf,” 26 June). Shilyan’s forum has been coordinating with the defense ministry in arranging regular meetings with Israeli Jewish Knesset members. The Israeli military recently announced that it had made Christian conscription easier at the nearest office in the Galilee, in Tiberias. In the run-up to the arrival of Pope John Paul II for the millennium celebrations in Nazareth, the Israeli government gave the go-ahead to a group of Muslims to build a large mosque in a square in front of the Basilica of the Annunciation, the destination for hundreds of thousands of pilgrims. The square is the resting place of Shihab al-Din, a nephew of the Crusaders’ nemesis, Saladin. Israel later reneged on its promises to the Muslim group and in 2003 demolished the foundations of the mosque that were under construction (“Divide and destroy,” Al-Ahram Weekly, 3-9 July 2003). Widely-held suspicions in Nazareth are that the government sought to inflame sectarian violence in Nazareth at that time, shortly before peace talks between Israel and the Palestinian leadership at Camp David in 2000, to help strengthen Israel’s case that only it could be entrusted to look after the holy sites in Jerusalem in a final-status agreement. Accounts from Camp David suggest that Israel’s prime minister at the time, Ehud Barak, remained adamant that Israel should have exclusive sovereignty over the al-Aqsa compound of mosques in Jerusalem’s Old City. The latest moves to recruit Christians to the army echo earlier efforts by Israeli officials, as part of a policy that sought to undermine the Palestinian population’s cohesion and its national identity. A key figure among the Christians in the state’s early years was George Hakim, the Greek Catholic bishop for the Galilee. Hakim went on to transform the Catholic Scouts into a Zionist youth movement opposed to the Communist party, a joint Jewish-Arab party popular among Israel’s Palestinian citizens. It was then the only non-Zionist political movement allowed. In 1958 Hakim considered signing an agreement with the army similar to that of the Druze leadership, but found little support among the wider Christian community. A photograph in Good Arabs shows Hakim seated next to Druze leader Sheikh Amin Tarif at an Israeli military parade for Independence Day in 1959. Recent events highlight that this policy formulated in the state’s early years – to use sectarian differences to isolate the largest Palestinian community, of Muslims, from their Christian and Druze compatriots – holds to this day. With Palestinian communal solidarity seen as a serious threat to the state’s Jewishness, Israel would prefer to push Muslims, Christians and Druze into open conflict. Jonathan Cook won the Martha Gellhorn Special Prize for Journalism. His latest books are Israel and the Clash of Civilizations: Iraq, Iran and the Plan to Remake the Middle East (Pluto Press) and Disappearing Palestine: Israel’s Experiments in Human Despair (Zed Books). His new website is jonathan-cook.net. Major problems pushing Israel towards collapse: Iran cmdr. Iranian commander Brigadier General Massoud Jazayeri says the Zionist regime of Israel is struggling with different problems and is fated to collapse. “With the serious and complicated crises [at present] it won’t be long before the fake and occupying Zionist regime [of Israel] faces collapse,” said Iran’s Armed Forces Deputy Chief of Staff in a Wednesday statement. He made the remarks ahead of the International Quds Day slated for Friday. In August 1979, the late founder of the Islamic Republic Grand Ayatollah Ruhollah Khomeini declared the last Friday of the Muslim holy month of Ramadan as Quds Day, calling on Muslims to mark the annual occasion by holding street rallies. “One of the reasons for the great concern of the US and Zionists over the Islamic Awakening is due to the issue of Palestine because if democratic governments come to power in the region there will be no room for the presence of occupiers,” Jazayeri added. Internal Security Minister Yitzhak Aharonovich said, "Anyone who wishes to obtain a license to bear arms will have to undergo an exam by a family physician and a psychologist. If they do not pass the psychological exam, they will have to undergo an exam by a psychiatrist." He said this during discussions at the Internal Affairs Committee on reducing weapons headed by MK Miri Regev. He added that currently there more than 290,000 weapons in the hands of the public, and that the goal was to reduce this number. A couple from Jerusalem that visited the monument in memory of the fallen soldiers who died during the 1997 helicopter disaster near reported to have witnessed two haredi families playing in the monument's pond. "My wife and I were passing near She'ar Yashuv and I wanted to show her the new monument for the helicopter disaster. We went in and we saw the memorial pond, which is part of the monument, with the names of the 73 fallen soldiers engraved, and in it kids spraying water as if it were the local swimming pool," said Ido Ben Porath. "We came closer and saw a group of two haredi families… there were little children in there, boys and fathers, and they were all running around as if it were a water park." Ben Porath added that he and his wife, as well as another passerby, went over to the families and asked "'Do you know where you are?' I wanted to tell them that helicopters crashed here, but I quickly realized they were well aware of where they were and realized it was a monument. "We mentioned respect, memory, loss – but they wouldn’t listen. They said they would do whatever they wanted. The haredi father said, 'we pay taxes, we can do whatever we want.'" In 1997, two Sikorsky CH 53 helicopters crashed over Kibbutz She'ar Yashuv in northern Israel, claiming the lives of 73 soldiers and officers. 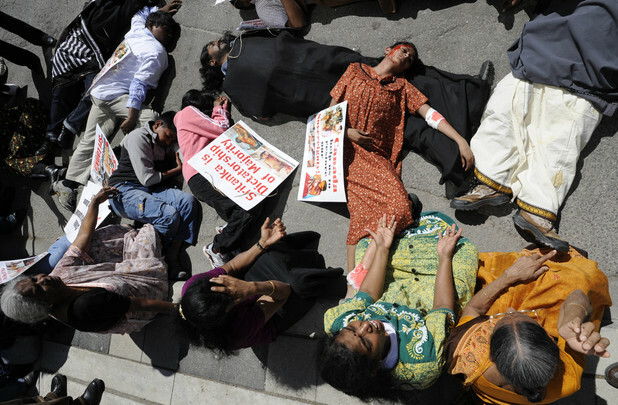 The Rome-based Permanent Peoples’ Tribunal has commissioned an independent report [PDF] that finds the Sri Lankan state guilty of bombing hospitals, humanitarian operations and even government-declared “safe zones,” in clear violation of international humanitarian law (“Preliminary report,” January 2010 [PDF]). Israeli military expert Amos Harel said the security cooperation between Israel and the Palestinian authority precludes the outbreak of a new intifada (uprising) or any resistance activities in the West Bank. In a TV interview on Monday, Harel stated that the last two years have been the quietest in terms of security in the West since the six-day war in 1967 thanks to the security cooperation between Israel and the PA which prevented the outbreak of popular intifada during the last mid-decade. He also expressed his belief that there are constant orders for the resistance in the West Bank to launch attacks against Israel at every opportunity, but the strong pressure made by the Israeli army and the PA security forces has paralyzed most of the activities of the armed wing of Hamas. Since several years, Hamas has had no leader for its armed wing in the West Bank because its activists are arrested immediately by the Israeli and PA security forces whenever they try to do something, he added. 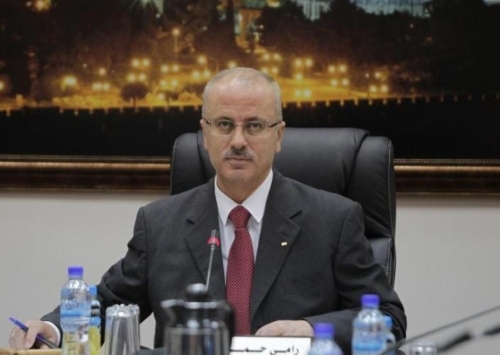 He underlined that Israel agreed on resuming its talks with the PA in order to achieve a number of goals in its favor, most importantly, the level of security coordination with the Palestinians, noting that there are five PA security units working diligently to maintain security in the West Bank. Ashdod police have began investigating a new case of haredi exclusion of women from the public sphere in the mostly secular city. A., a 15-year-old girl and her mother complained that a haredi man asked the girl not to walk by a yeshiva located in the city center, and even spat on her because of the way she was dressed. "I will continue to walk in my neighborhood like I'm used to," she defiantly told Ynet Monday. The girl was walking along the street Monday, as she does everyday, to pick up her 6-year-old little sister from kindergarten. At a distance of a kilometer and a half away from her home, the girl – who wore a tank top and a skirt – was approached by a haredi man who yelled at her: "Walk behind the parking lot's wall"
At first, A., did not understand what he was talking about, and asked the man "Why?" to which he replied "Because you're immodest, there are people studying Torah here." A., who did not want to confront the man picked up her pace and defiantly told him "I'm not going to," to which he answered "Why are you so stubborn?" and then spat on her. According to the mother, "the two girls were completely shaken by what happened. When they arrived home they called and told me what happened." She could not believe something like that could happen in her city. 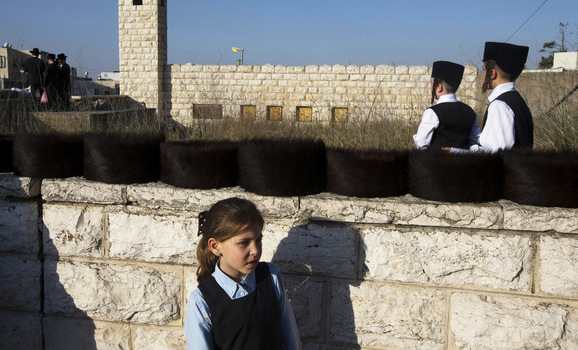 "The kindergarten and the yeshiva are on the same street in a secular part of the city. We have been going to this kindergarten for a year without a single incident and without anybody saying anything. "It never crossed our minds that there is something or someone to fear, because in Ashdod we have haredi neighborhoods which secular residents respect by not entering during Shabbat and only in modest attire. But this is a completely different story." The girl said "I wasn't scared, but I wanted to get home as fast as possible because my little sister was with me and I didn’t want anything else to happen. Even when I went back to the place to meet my mom and the cops I wore the same clothing, I dare them to tell me what to do." Police who arrived at the scene failed to locate the suspect, but stressed they are treating the incident with the utmost severity and promised to make additional efforts to locate the man. 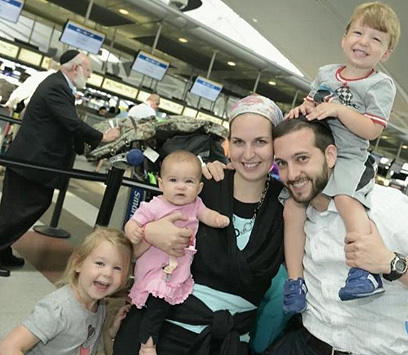 Aviva and Jeremy Stern, along with their three children, relocated last week straight from New York to the West Bank. The decision to move was made in the backdrop of efforts to restart peace talks between Israel and the Palestinians, the result of which may well be the forced evacuation of settlements such as their new home - Efrat. But the Sterns are not alone: While Washington, Ramallah and Jerusalem are gearing to resume peace talks after a three-year stalemate, a rise in demand for housing in the territories has been reported as well as the and arrival of new settlers. Aviva Stern is not worried about the possibility of disengagement from the territories: "It's not something we took under consideration when we decided to move here, and it's not a concern for us at the moment," she said. 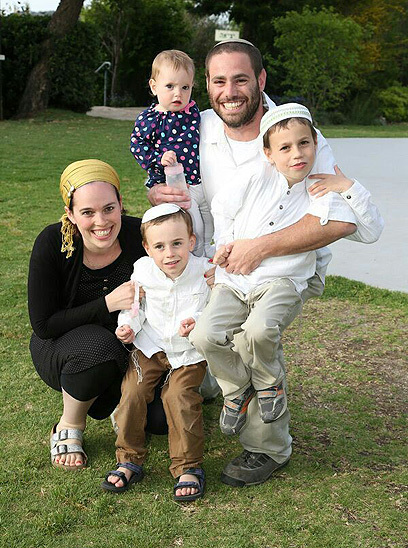 "We always knew we'd live in Israel, and after seeing Efrat and the kind of community here, we decided that this is home." Asked if the family had any general concerns about the move, Stern said, "Maybe a few years ago there were people who were worried about the situation in Israel, which seems much more turbulent when you look at it from America. But here it's peaceful, and everyone is calm." Yaacov, 47, and Rachel, 43, Cohen are planning to move from the community of Nof Ayalon in centeral Israel to Bat-Ayin, a settlement in Gush Etzion. "When we came here from America we believed and still do that Israel is our home," the couple explains. "There were always painful sacrifices and doubts, but we really trust that we are moving to a place that is ours, and that we will stay here for good." The Cohens were drawn to Bat-Ayin's open spaces, quiet, and tight knit community, all at an affordable cost. "There's nowhere else in Israel that could provide us with this quality of life at this price," they say. "The possibility of a future disengagement never crossed our minds. We believe it won't happen." Another couple, Hai and Meirav Greenbaum, are preparing to move to the village of Alei Zahav in the West Bank - an even more volatile location, having been deemed by the Palestinians as outside the settlement blocks Israel wishes to retain. The Greenbaums are concerned with the possibility of a future forced evacuation and the loss of any funds they invest in their new home, but are resolute in their decision to move: "We are people of faith, and the issue is not personal but one that concerns the entire Jewish people," Meirav states. "As far as we are concerned, Alei Zahav is a place that should be settled. And we're going to settle there." 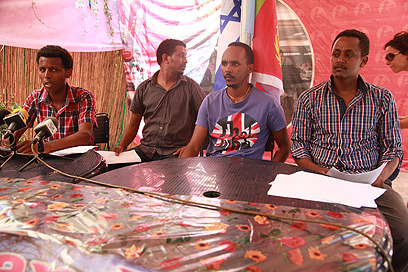 In a press conference held in south Tel Aviv Sunday, organizers from Tel Aviv's Eritrean community spoke of the dangers the 14 Eritreans who left Israel as part of the 'willful emigration' directive faced. According to organizers, contact with those who returned to Eritrea has already been lost and their whereabouts are no longer known, while others have already been jailed or have been forcefully enlisted into an army service indefinitely. "Our lives and the lives of our children are in danger," a representative of the community warned regarding the fate of those who will return to Eritrea as part of the new directive – according to which infiltrators and asylum seekers who are held in detention facilities can choose to leave Israel if they return to their home country. "Our brothers were expelled from the Israeli prison where they were detained indefinitely and were completely in the dark regarding their fate," said Davit Demoz, an asylum seeker who arrived in Israel three years ago from Eritrea. "In Israel they decided to call it 'willful emigration' – but when there is no alternative, there is nothing willful or free about it. We don't believe they really agreed to this. 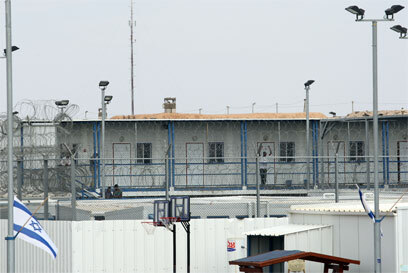 The government of Israel took advantage of their (the detainees') condition and now their lives are in danger. To deport us to Eritrea is to sentence us to death," he said. "We beg the Israeli government – protect us," Demoz pleaded. At the end of June, Attorney General Yehuda Weinstein authorized the new directive, which has since garnered the criticism of human rights groups which argue that it is impossible to claim that decisions taken by jailed refugees constitute free will. Representatives of the Eritrean community launched a letter to Prime Minister Benjamin Netanyahu on Sunday, requesting that the new directive be canceled and that the deportation of asylum seekers back to Eritrea be stopped. According to Hebtum Mahar, another Eritrean asylum seeker, the majority of those who returned to Eritrea are currently detained and the fate of the rest is unknown. "Refugees who return are held in a Facility #5, adjacent to the Asmara (Eritrea's capital) airport. It is known as one of the toughest facilities in the country. They're interrogated and even tortured there, because in Eritrea, lodging an asylum request in an another country is considered treason," Mahar said. "During the last decade, there have hardly been any deportations of Eritreans, especially in democratic and developed countries," Mahar stressed. "Most countries understand that you cannot deport an Eritrean back to his country, but the State of Israel has failed to understand that." Reports published by various international organizations and Western governments regarding the situation in Eritrea paint a grim picture of a dictatorship with little regard for human rights and in which the last free elections were held only 15 years ago. According to some of the reports, prison terms without trial are prevalent, as is lack of freedom of movement, hunger, a general lack of welfare and public services, and mass enlistment into the army for an indefinite period of time. Emanuel Demena, another Eritrean asylum seeker in Israel, said he was forced to serve a three-year prison sentence in an Eritrean prison after requesting to be released from 12-year mandatory military service. Eritrea is considered to have one of the highest percentage of refugees, and in accordance with international law, Israel is banned from deporting Eritrean nationals, despite the fact that the two countries have diplomatic relations. 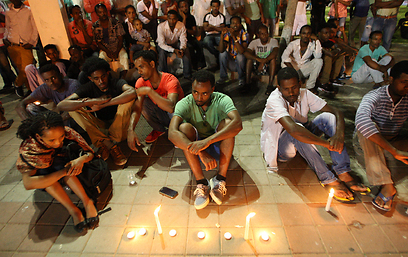 On the other hand, in recent years, Israel has failed to examine the validity of asylum requests, and senior Israeli officials contend that the situation in Eritrea is far better than reports claim and that the majority of asylum seekers from the country are in fact migrant workers who infiltrated into Israel in search of employment. "In Eritrea, anyone who thinks differently or expresses a different opinion is arrested and then disappears," Demoz noted. "The families don't know where their loved ones were taken and whether they will ever see them again. Also, everyone must enlist into the army without knowing when they will be released. In the army, soldiers are the government's slaves." An August 2011 report penned by the British government determined that Eritreans who return to their country were arrested and detained without trial, and forced to undergo torture, which in some cases resulted in death. According to several reports, the number of asylums seekers who receive positive responses to their asylum requests is above 80% in European countries. The only countries to refuse refugees were Libya, Egypt and Malta, and the whereabouts of those refused refugee status is unknown. According to Israeli Population, Immigration and Border Authority (PIBA), there are currently 55,000 infiltrators and asylum seekers living in Israel. Some 40,000 of them are from Eritrea and the remaining 15,000 are from Sudan. Since June 2012, according to the amendment to the Infiltration Prevention Act, some 2,000 such asylum seekers and infiltrators are held in detention facilities to which they were admitted without trial for a period of three years. A 55-year-old haredi man from Netanya sustained moderate to severe injuries after being attacked by an anonymous group in Kiryat Sanz. It is suspected that the victim was standing at a bus stop in the neighborhood on Saturday night and looked at a pregnant woman. A group of haredim that noticed began to beat him. The attackers then put the man in their vehicle, where they continued to assault him. They then threw him out onto the street. He was taken to the hospital for treatment. Police are working to locate the suspects. 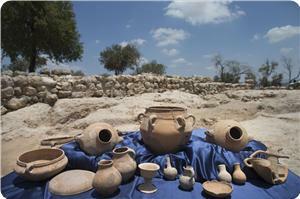 Israel Finkelstein, a noted Israeli archeologist and academic at Tel Aviv university, questioned the Jewish claims about the discovery of King David palace in Khirbet Qeiyafa, west of occupied Jerusalem, expressing his belief that the finds belong to an ancient Arab civilization. Finkelstein said that it could be true that the site discovered dates back to the eighth or tenth century BC, but it could be built in that period by the Palestinians, the Arab Canaanites or other peoples in the region. He said he believes that the site was probably built by other ancient kingdoms in the region, especially since there is no conclusive physical evidence suggesting it is the palace of King David. Israeli archeologists had claimed to have discovered the site of King David Palace in Khirbet Qeiyafa, according to Jerusalem Post newspaper. They also said that the diggings have been going on for seven years at the site and revealed two huge Jewish buildings, a palace and a storehouse. 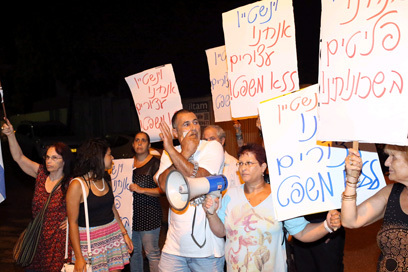 Several dozen south Tel Aviv residents held a protest outside the home of Attorney General Yehuda Weinstein in Herzliya on Saturday and demanded that he act for the safety of Israeli citizens affected by the wave of crime involving migrants. Weinstein stepped out to talk to the protesters and told them, "You are not alone in this struggle." The protesters demanded that tougher measures be put in place to fight infiltration into Israel and protested Weinstein's decision to release a Sudanese actor suspected of stealing a pair of bicycle. They held up signs that read "We are refugees in our own neighborhoods." Shlomo Maslawi from the South Tel Aviv Executive Committee slammed the AG's decision. "We are here because several days ago you ordered the release of two infiltrators to our neighborhood," he said. Weinstein told the protesters that the cases they mentioned were unique. "The government's policy is pretty clear, the Justice Ministry and attorney general support this policy. We must do things wisely and humanely." He promised the demonstrators that he would come see them in south Tel Aviv to talk about the issue in further detail. Earlier this month, Weinstein updated a procedure, which allows the prolonged arrest of asylum seekers and infiltrators from Sudan and Eritrea, even if they are suspected of relatively minor offenses, and without sufficient evidence to prosecute them. Gasoline was poured on the car of Migdal Haemek Mayor Eli Barda and it was set afire by unknown arsonists. Damage was caused to its hood. The Central Unit of the Northern Police is investigating the incident. A Molotov cocktail was thrown at a building in Jerusalem. As a result, a warehouse was burned to the ground, and a nearby balcony was partially burned. There were no reported injuries. Police estimate that the background to the event is nationalistic. Firefighting services extinguished the fire. A 25-year-old was moderately injured after being stabbed in his upper torso during a brawl in the city. MDA paramedics evacuated him to a local hospital. The police have begun their investigation. The Health Ministry identified the polio virus in seven people in Israel's south. The ministry suspects 10 other people might be carrying the virus. 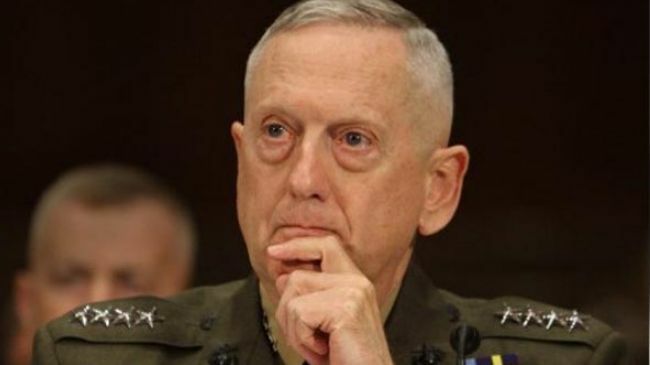 Former commander of the US Central Command James Mattis has said that he ‘paid a military security price every day’ over the American support for the Israeli regime. The retired US commander made the comments at the Aspen Security Forum in Colorado in response to a question regarding the talks between the Tel Aviv regime and the Palestinian Authority. The chances for an agreement between Israelis and Palestinians “are starting to ebb” due to the settlement activities, Mattis said. On Thursday, Israeli Energy and Water Minister Silvan Shalom said the talks may begin in Washington next week. 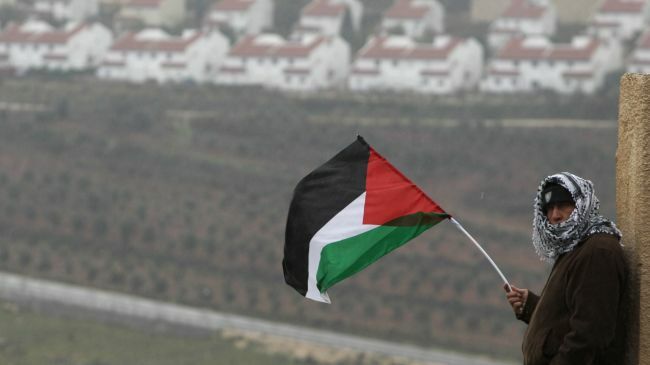 The Palestinian Authority had previously demanded that Israel cease all settlement activities before talks can be resumed. The Tel Aviv regime has refused to do so. Jeffrey Goldberg is a Bloomberg View columnist. He is the author of "Prisoners: A Story of Friendship and Terror" and winner of the National Magazine Award for reporting. He has covered the Middle East as a national correspondent for the Atlantic and as a staff writer for the New Yorker. 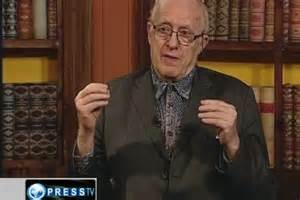 Press TV has conducted an interview with David Duke, a former member of the House of Representatives from Louisiana. Two people were killed not far from the Yarkonim Junction apparently after the car they were in exploded. The circumstances of the event still remain unclear, but after the explosion the car was ablaze. Firefighting forces are currently working to extinguish the blaze. An initial police investigation revealed that a massive explosive deceive was what caused the car to explode not far from the Yarkonim Junction and leave two people dead. The identity of the victims is still unknown. As a result of the explosion the car was completely incinerated. By: Elise Brezis Translated from Calcalist (Israel). Before the 2013 Israeli Knesset election, Yair Lapid, head of the Yesh Atid party, asked, Where's the money? Ever since his March 2013 appointment as minister of finance, he has been trying to find it, but to no avail. There's simply no money left in the state coffers, as demonstrated by the cabinet-approved draft budget. If you look for the money in the short term, you may find some crumbs here and there — possibly even some graves to tax, as previously proposed by Lapid. However, at the end of the day, there is no money to be found because the Israeli economy is not growing, despite the politicians' insistence otherwise. They say that the economy is growing annually by 3%, but this growth rate hardly reflects the true picture. If you take Israel's economic growth, which is based on the increase in the gross domestic product (GDP) per capita, and subtract from it the country's 2% annual population increase, then you will find that, at best, the Israeli economy is growing by a mere 1% annually. The Israeli economy's most serious problem is low productivity. Though some of us work long hours, when all is said and done, we are not efficient enough. Why? According to certain studies, employee job permanence undermines efficiency. Other studies point the finger at the “typical Mediterranean worker" who is said to lack an efficient work ethic. Let's be honest — who does not know at least one co-worker whose dismissal would have little effect on output levels? I suggest that rather than relying on the notorious tax evasion “informer” mechanism, the finance ministry set up an apparatus that would allow employees to propose ideas for streamlining work procedures. The second burden on the Israeli economy is the high birth rate. While Israel's population growth currently stands at 2% annually, the population growth rate in the ultra-Orthodox community is around 7%. The outcome of this rapid population growth is that we give birth to more children than we can support. In the past, the average expenditure per child was rather small. On a poor continent such as Africa children generate income, however, in the Western world considerable sums of money are invested in raising a child. Thus, a substantial part of the government budget has to be allocated to that end. If we wish to ensure rapid economic growth, then this requires a high capital growth rate. The annual population growth of 7% in the ultra-Orthodox community is unsustainable. If you're wondering how these issues are related to the draft budget — well, it is quite simple. If you review the budget, you will notice separate chapters dedicated to the regular budget and others dealing with the development budget. If you are interested in budget allocation by ministry, this is also explicitly outlined. Yet, if you are looking for the governmental allocation for each sector, you will not find it. Let me present here some preliminary estimates of budget allocation by sector, with the hope that the Ministry of Finance will follow suit and make the relevant data public. 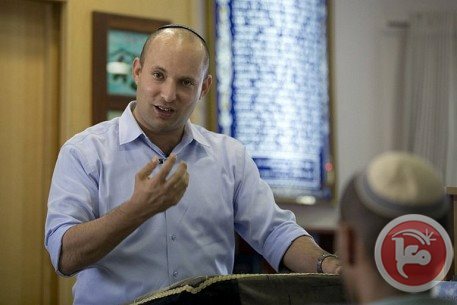 Given total government expenditures of 390 billion shekels ($106.5 billion), and taking into consideration government spending on security, transportation and infrastructure, it turns out that the allocation to the ultra-Orthodox sector totals some 40 to 80 billion shekels ($11 to $22 billion). At the same time, the receipts collected from the ultra-Orthodox sector, including VAT and income tax, may be put at 15 billion shekels ($4 billion). It may be concluded that the net allocations to this sector top 45 billion shekels ($12.3 billion). Although this is a rather rough estimate, it is true to reality. It is surprising then that the Ministry of Finance keeps this data under wraps while publicizing the 1.5 billion shekels ($400 million) directly funneled to the rabbinical colleges. If you're wondering where the money is, the answer may be: It is being expended on a population that is not participating in the production chain. What about the workers organized in labor unions? Are they, too, getting more than they contribute? Of course not. The issue of the labor unions has nothing to do with the state budget. Rather, it concerns the question of equal opportunity. The relatively high wages enjoyed by organized workers are outrageous. The income disparity between two workers doing the same job is certainly not fair. As noted, the issue of organized workers and unequal wages does not concern the state budget. All the same, it is an inequitable situation with which the Ministry of Finance should deal. The fact that the opportunity for real change has been missed is most disappointing, all the more so since the finance minister has been given a rare public mandate to make a difference. The minister of finance should not have raised the income tax — he should cut expenditures that do not contribute to economic growth. The most frightening man in the state of Israel is probably professor Dan Ben-David of Tel Aviv University. Ben-David, a renowned economics lecturer, is actually a pleasant and affable individual, but the message he bears should be disquieting for any Israeli concerned with the future of his country. As executive director of the Taub Center of Social Policy Studies, Ben-David goes around the lecture circuit and meets people all over the country, illustrating with the help of diagrams and dry statistical data the extent to which the survival of the state of Israel cannot be taken for granted. The data reveals the annual rate of increase in the number of Israelis who do not participate in the workforce. They are not listed as unemployed because they're not even looking for work. Most of them are ultra-Orthodox. As the percentage of ultra-Orthodox in the population grows — and it has been growing steadily and speedily — the percentage of productive Israelis participating in the workforce grows smaller. Ben-David concludes that given the current state of things, the Israeli economy will soon no longer be able to continue to support the non-working ultra-Orthodox population. Quality of life in Israel is relatively high, but it could have been far higher had there not been an entire sector that has — for years — refrained from joining the job market out of a rigid religious ideology. Unless a radical change takes place, Israel is marching toward the edge of an abyss. The system that has been in place for 65 years simply cannot be viable for much longer. The public debate in Israel regarding the integration into society of the ultra-Orthodox Jews hardly deals with this issue. The focal point is always “sharing the [military] burden” — the same worn slogan that has long since become a sure springboard for any secular politician wishing to gain popularity. The last one to make use of it was the Yesh Atid chairman, Finance Minister Yair Lapid. Since forming his party at the beginning of 2012, Lapid was careful to declare that he has nothing against the ultra-Orthodox and that, unlike his late father — former Knesset member Tommy Lapid, who headed the Shinui party in the previous decade — his party would not be anti-clerical. The plan for drafting the ultra-Orthodox into the army, which he presented at the start of the election campaign, focused first and foremost on getting the ultra-Orthodox into the job market and only then integrating them into military and national service. But then — somewhere in the middle of the campaign — Yesh Atid faced a crisis. The polls indicated a decline in support and the strategic advisers decided to hone the message. Lapid, who up until then had spoken about a variety of issues on the agenda, started focusing on the ultra-Orthodox and repeating the “shared burden” refrain. This move paid off when he raked in 19 Knesset seats in the elections in January 2013, becoming the head of the second largest party, after the Likud. Today, too, even as he is attacked for an austerity budget which he has been pushing as finance minister, Lapid still gets positive feedback whenever he criticizes the ultra-Orthodox. In virtually every speech he delivers from the Knesset podium, a significant part of his comments is devoted to attacking the ultra-Orthodox. That’s his comfort zone. On July 23, the Knesset gave initial approval to the government’s plan, led by Yesh Atid’s cabinet member, Minister of Science and Technology Yaakov Perry, for drafting ultra-Orthodox men into the military. Public attention was focused on the blatant provocations acted out by some ultra-Orthodox Knesset members during the stormy debate. But all the shouting notwithstanding, data presented in his Knesset speech by ultra-Orthodox Shas Party Chairman Aryeh Deri stood out. According to his data, since the beginning of the year, the rate of ultra-Orthodox enlistment has dropped 30%. After years of a slow, quiet increase in the number of ultra-Orthodox who don uniforms, the trend has turned around. This occurred at the same time as the public debate on the issue was heating up and Yair Lapid was enjoying his meteoric rise. The more Lapid spoke about ultra-Orthodox enlistment, the more the number of recruits declined. In recent months, since the formation of the new government which raised the “shared burden” banner, there has been a rise in attacks by members of the ultra-Orthodox community on those among them who decide to trade in their religious studies at the yeshiva (religious institution) for military service. In several recent incidents, policemen were forced to extricate soldiers wearing kipas (skullcaps) who were attacked while walking around ultra-Orthodox neighborhoods. These phenomena did not exist a year ago. The “shared burden” campaign benefited Yair Lapid, but diminished the chance that equality would be achieved. It is worth believing ultra-Orthodox Knesset member Meir Porush of Yahadut HaTorah, when he chained himself to the Knesset podium and declared that this is how yeshiva students would be led — in chains — if forced to enlist. The firm stand against the government was the basis of the ultra-Orthodox ethos even before the State of Israel was established, when the Jews were scattered in communities throughout Europe. It was only three years ago that dozens of ultra-Orthodox parents in the West Bank settlement of Immanuel opted to obey their rabbis and go to jail rather than comply with the instructions of a secular court regarding the integration of Sephardic schoolgirls into the local religious seminary. 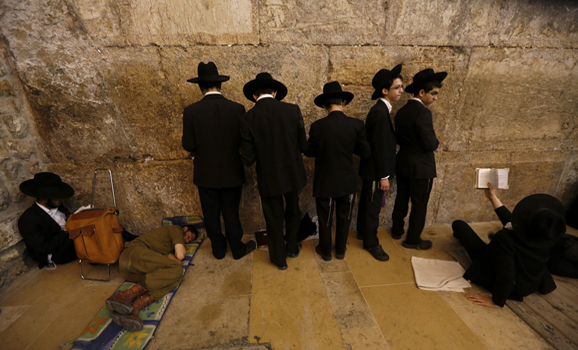 The ultra-Orthodox have earned the Israeli street’s hostility toward them after decades of isolation and seclusion. There’s no justice in their continued refusal to take part in efforts to sustain and advance the State of Israel. But an attempt to resolve a generations-old problem by brandishing a sword, and with forcefulness, will achieve the opposite result. Instead of fighting them, it would have been better to move forward slowly, in cooperation with the ultra-Orthodox, to achieve the declared goal. The alternative of the continued ultra-Orthodox isolation and the status quo is simply too dangerous for Israel. Nadav Perry is a contributor for Al-Monitor's Israel Pulse. Channel 10's political correspondent, he regularly hosts Rafi Reshef's news magazine as well as his own weekly political talk show, writes political columns for Globes (Israel's financial daily) and hosts Radio Tel Aviv's daily political program. Two rabbis backed by ultra-orthodox parties were elected on Wednesday to serve as Israel's chief rabbis for the next 10 years, an official announcement said. It said Yitzhak Yossef was elected Sephardi chief rabbi and David Lau the Ashkenazi chief rabbi. The responsibilities of the chief rabbis include the country's rabbinical courts and regulating the food supervision industry. 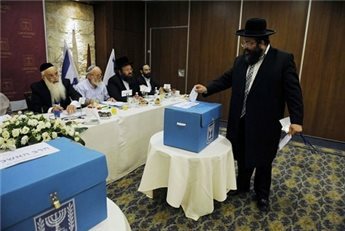 Wednesday's election, held in a Jerusalem hotel, involved a 150-strong electoral college of religious and secular officials including mayors of the main cities. 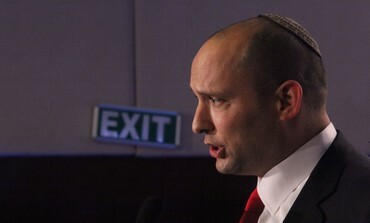 Yossef is the son of Ovadia Yossef, founder and spiritual leader of the opposition ultra-orthodox Shas party, which has 12 seats in parliament. 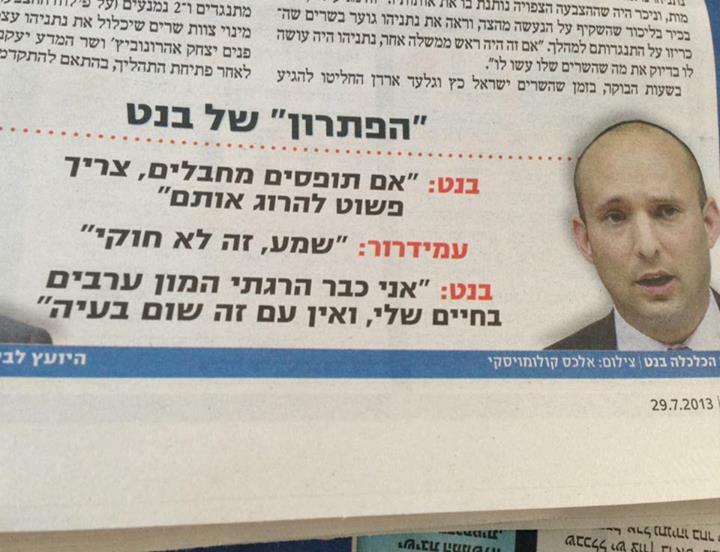 Lau, who also drew on ultra-orthodox support, is himself the son of an Ashkenazi former grand rabbi. For the first time, 10 women were members of the electoral college, despite women not being represented in rabbinical courts or in the grand rabbinate. The institutions over which the grand rabbis preside have a major bearing on the lives of Israeli Jews in a country where the separation of church and state does not exist. Jews cannot marry or divorce without rabbinical approval, and those seeking to marry must present proof of their Jewish heritage before rabbinical courts. This stipulation has meant that many thousands of secular Jews or those unable to prove their Jewishness have gone abroad to be married in civil ceremonies instead. The city of Jerusalem has many diplomatic missions that have the official title of consulate general. These include the US, most Western European and Scandinavian countries, as well as Turkey. These diplomatic missions report directly to their capitals and they are not accountable officially to their counterparts from their country's diplomatic missions in Israel and, more recently, in Ramallah. This practice has been going on since the Turkish rule in Palestine and the region in the 19th century. After the creation of Israel in 1948 these missions continued to operate mostly in East Jerusalem (some, like the Americans, owned property in West Jerusalem) and they have continued to work after the June 1967 occupation. While these missions mostly served the Palestinian community politically, culturally and consular wise, the only difference after 1967 was that these missions widened their (mostly consular) services to all the population of Jerusalem. The US consulate in East Jerusalem continued to provide consular and cultural services while the building owned by the Americans in West Jerusalem's Agron Street became the residence of the US consul-general and later housed caravans that provided space for USAID officials working in the Palestinian areas. American citizens who lived in the Greater Jerusalem area as well as the rest of the West Bank (both Israelis and Palestinians) were restricted to the Nablus Road consulate in East Jerusalem for their consular affairs. Despite numerous calls by congress to move the US embassy from Tel Aviv to Jerusalem, the executive branch in Washington was able to apply the waiver provided in the congressional law to insist on maintaining the status quo. As long as the status of Jerusalem was among the final status agenda items, the US refused to determine who the holy city belongs to. US diplomatic officials, therefore, refrained to specify a country of birth when it came to anyone who was born in Jerusalem, whether of a Jewish-Israeli background or a Palestinian-Arab background. The politically correct US mission in Jerusalem refused to assign the country of birth to those born in Jerusalem as either Israel or Palestine. Instead they came up with a clever diplomatic side step. Under country of birth, American consular officials put "Jerusalem". For some time this diplomatic compromise worked, until theUS congress passed a law and a patriotic Israeli-American couple wanted to have their child's birth listed as Jerusalem, Israel. US officials refused, saying this was in the executive branch's decision-making power as it, and not the legislative branch, decides foreign policy. The angry Israeli-American suggested that Americans be given the choice of listing their country of birth as either Jerusalem or Israel. Again the US State Department and White House refused, feeling that this choice can't be given to a Palestinian whose country of birth can't be legally stated as Palestine and, therefore, listing only Israelis born in Jerusalem as being born in Israel would clearly discriminate against Palestinians. Every passport officer in the world would know (if the idea had been approved) that if they see someone listed as being born in Jerusalem they are in fact ethnically Palestinian. The US State Department refused the request and the case was brought to the US court of appeals. The US court of appeals for the District of Columbia, which reviewed the case of Menachem Binyamin Zivotofsky filed by his parents against the US secretary of state, ruled on July 23 that "Jerusalem-born Americans, whether supporters of Israel or supporters of Palestine, may not use their passports to make a political statement". It also reaffirmed that the executive branch and not the legislative branch of the US government decides such issues. The pro-Israel lobby, which has a greater stranglehold over congress than the White House (especially a second term president), will undoubtedly be unhappy with this ruling. The timing of this decision is crucial as the issue of Jerusalem will surely be a major topic of discussion if the expected negotiations between the Israelis and Palestinians are launched in the coming weeks and months. The wisdom of the US court to keep out of a volatile conflict such as the Palestinian-Israeli one, and an even more sensitive issue of Jerusalem, is welcomed.